Michael Taylor is one of Australia’s leading expressionist painters. He has drawn deep inspiration from the landscape of our very own Canberra region for over four decades. 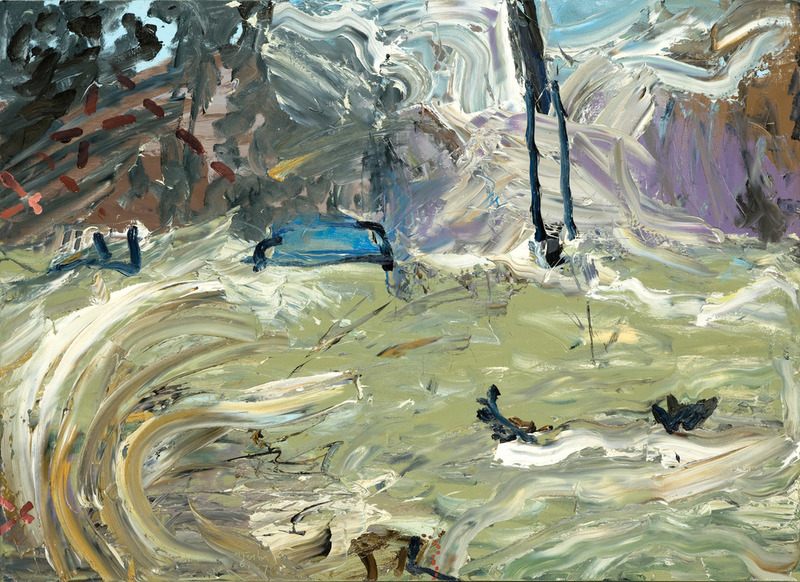 Canberra Museum and Gallery will soon present an exquisite and generous exhibition of Taylor's work curated by Senior Curator of Visual Arts, Deborah Clark. The show will offer a unique, first-hand experience of this inventive artist's work, spanning more than fifty years. Taylor’s paintings offer us a very unusual invitation. They seem to challenge us to immerse ourselves in their creation. We feel ourselves stepping with Taylor into the tumultuous landscapes he paints, allowing the elements of wind, water, earth, cloud, sun, foliage and even fire to wash over us. These landscapes are specific, dynamic and full of sensation; and they tip gently into and out of resolution. This achievement of movement is central to Taylor’s painterly technique. You will find that his paintings, even those created some forty or fifty years ago, appear as if they are still in the process of being painted today. It is as if the force of creative energy that brought them into being remains at play. I sense this energy humming gently along, captured somehow within each painting’s ruffled surface, and I find it both energising and refreshing. Taylor continues to be a highly successful artist and his works are well-loved. The large majority included in this exhibition are drawn from the collections of our nation’s most celebrated institutions and private collections. Without the generosity of these lenders such a rewarding and comprehensive exhibition could not have been realised. Michael Taylor: A Survey 1963-2016 is on view at CMAG from Saturday 9 July 2016.